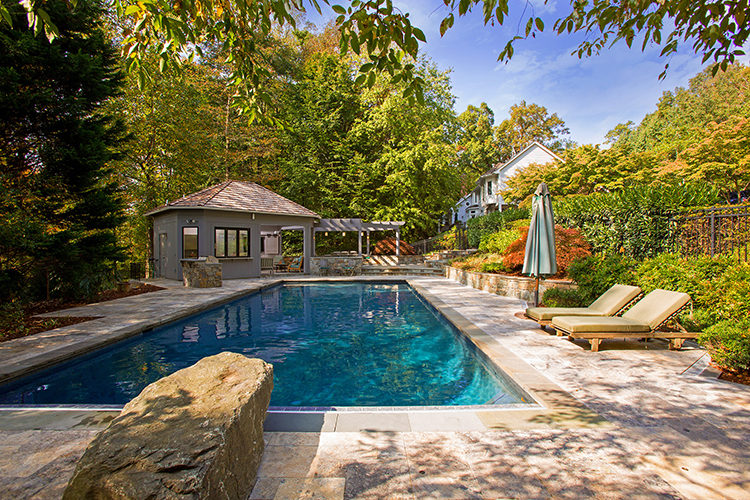 With the hot weather in full force here in north eastern USA our team of design artists has swimming pools on their minds! 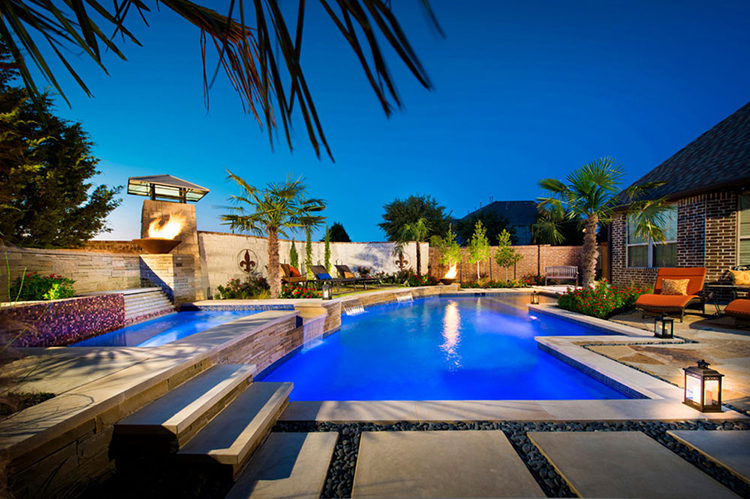 Our team has chosen the best pool designs for luxury homes – specifically in-ground outdoor swimming pools. 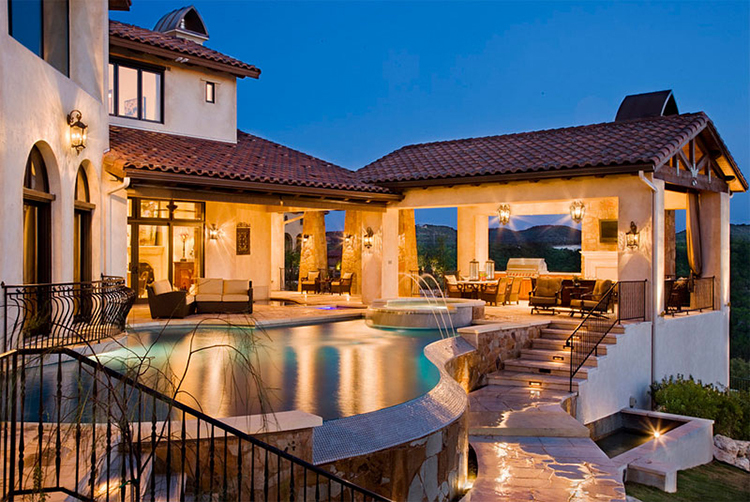 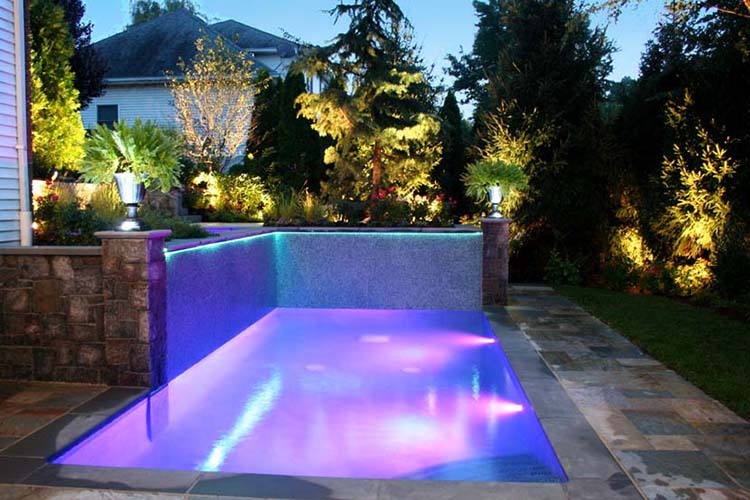 There is a lot that you can do with the style and design of an outdoor pool. 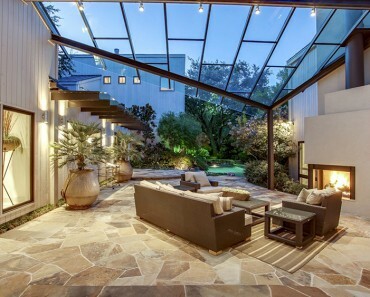 One of the biggest constraints that you will run into in some locations is space. 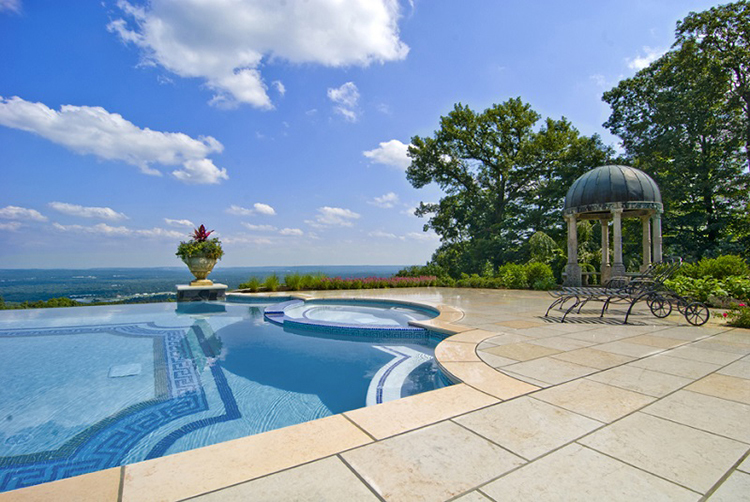 Outdoor pools can be large and take up a significant portion of a home’s back yard! 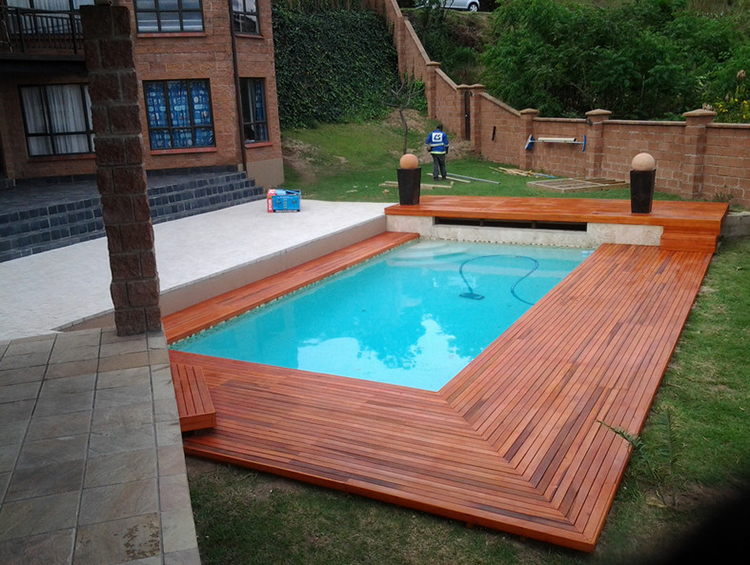 In this gallery we chose pool sizes and shapes that work for homes that have plenty of space for the pool. 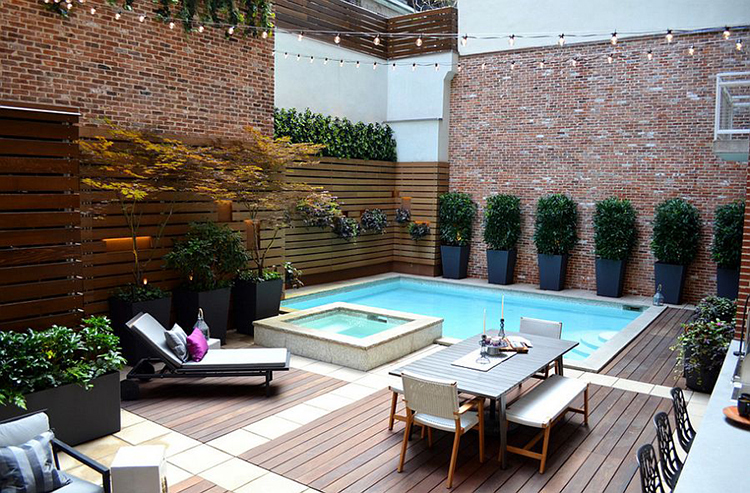 But, we also included in ground pool designs that can fit into smaller urban type outdoor areas. 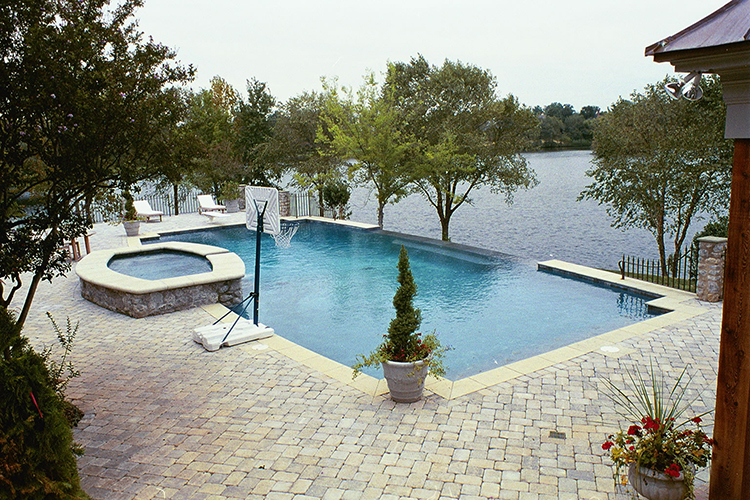 Outdoor pools typically have one of two types of liners – concrete or vinyl. 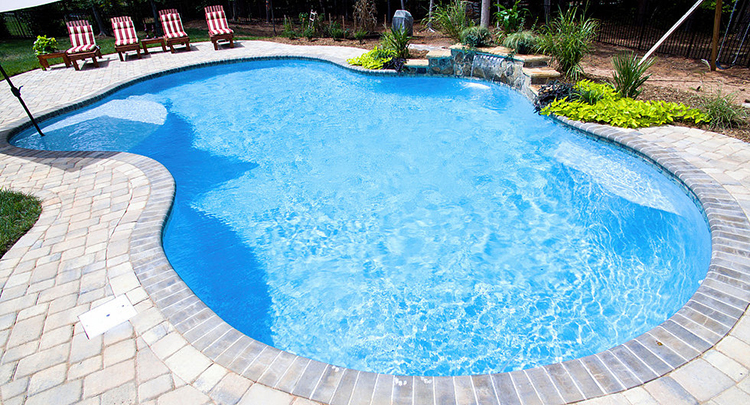 Each liner type has their advantages. 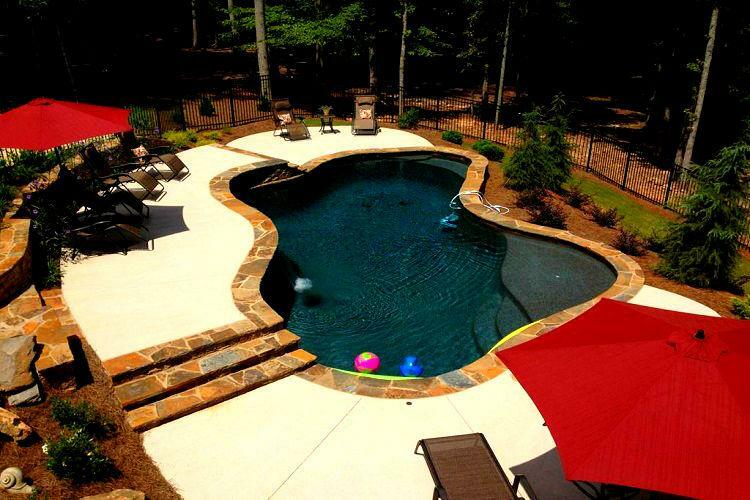 Please do your own research to determine what type of pool is best for your needs. 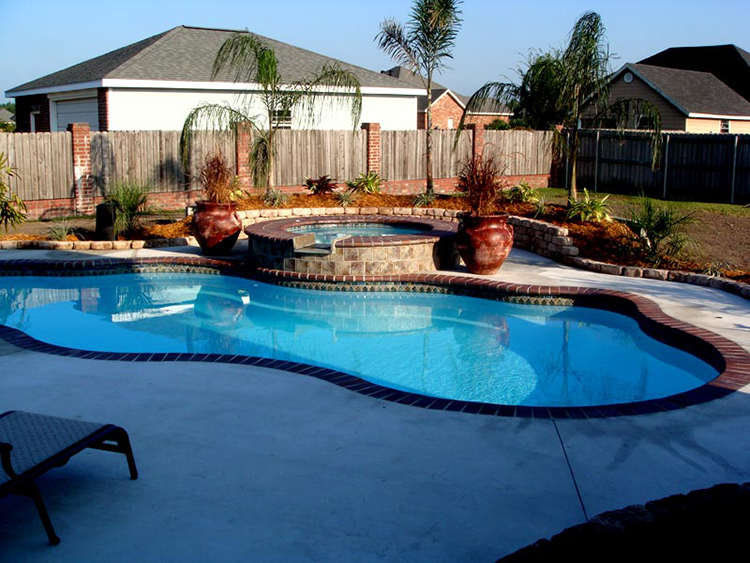 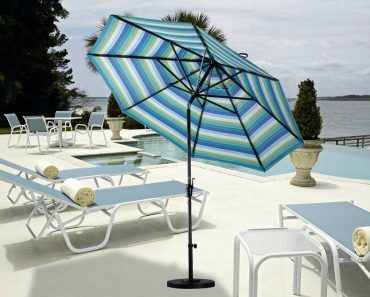 It is best to choose a pool company that has experience creating custom outdoor pool designs. 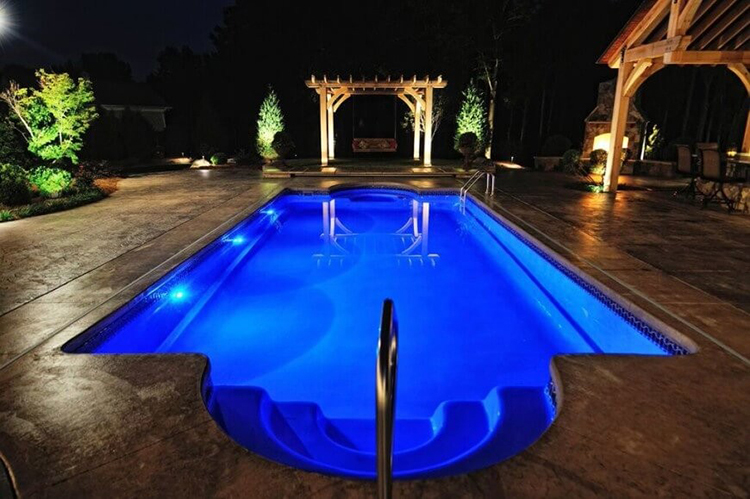 Also please remember that unless you are in an area that has year-round hot weather you may not be adding much equity to your home when you invest in a pool. 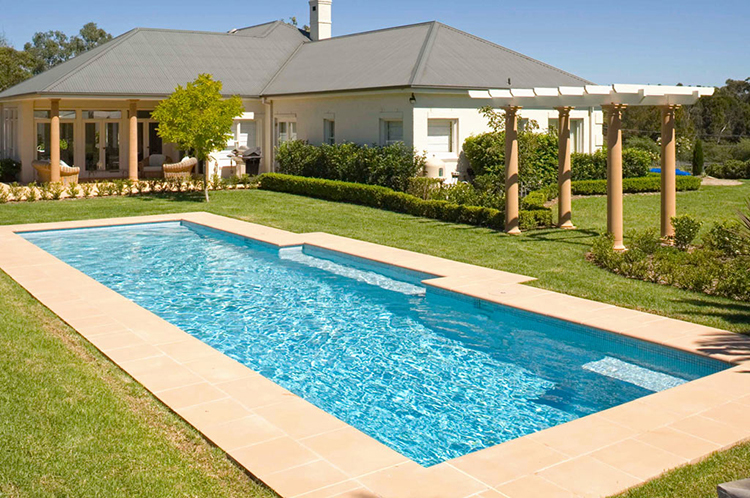 Simply put, it is sometimes harder to sell a home that has a swimming pool because only a specific set of home buyers are looking for a home with a pool. 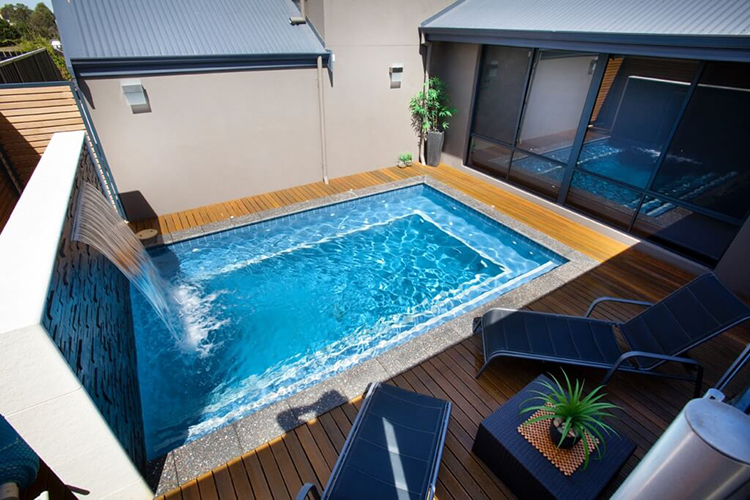 So… install your pool for your own enjoyment! 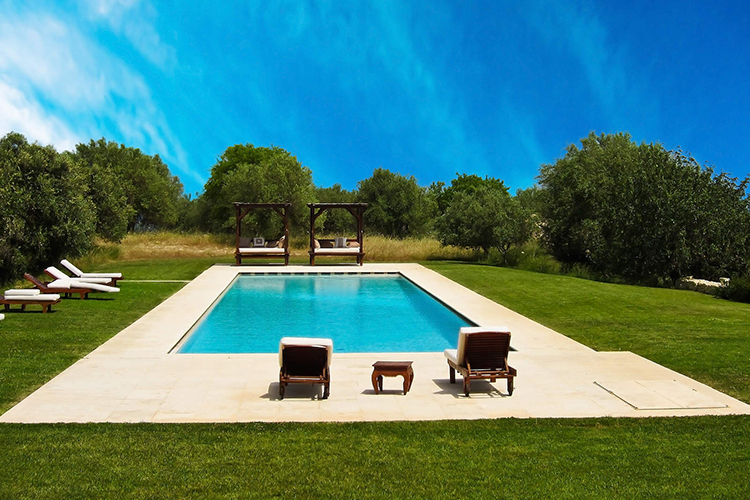 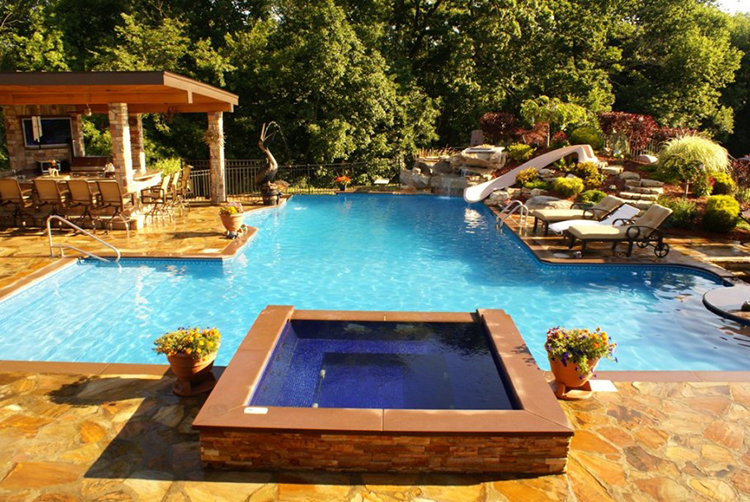 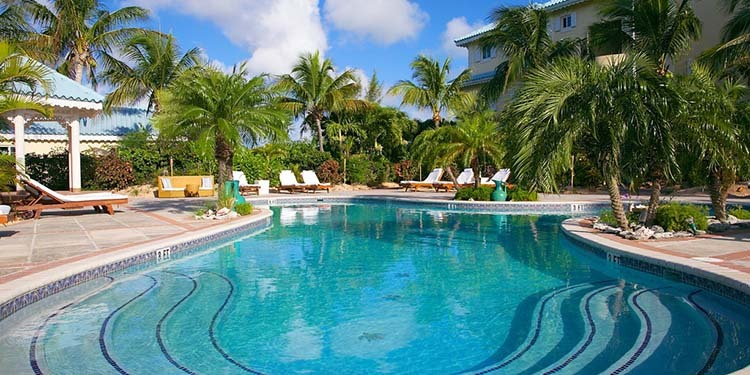 Here is the gallery of our favorite in ground outdoor pools.